April NEW RELEASE Blog Hop & A Birthday Wish! First off, we'd all like to wish our AMAZING Team Member, Emily a very happy birthday!!! Here are a few of her creations! Today is the big day! Are you ready to see the April Release?? All winners will be announced tomorrow, April 1! This darling mini set, BEE Happy, is FREE when you spend $40.00 or more during the month of April!!! It will automatically be added to your order, so shop away! Good luck! Click below to hop with us! Today is our last sneak, but don't worry! We also have our New Release Hop tomorrow and we'll give away ALL THREE sets to one lucky stamper! All the comments posted today are going into a random drawing and one of you will win the new April set - Star of the Show!!! You can have up to 2 entries! Please leave a SEPARATE COMMENT FOR EACH! Commenting closes at 9:30 pm TAWS time! All winners will be announced on April 1. Good luck! And now for the peeks from our wonderful DT members! Hi! 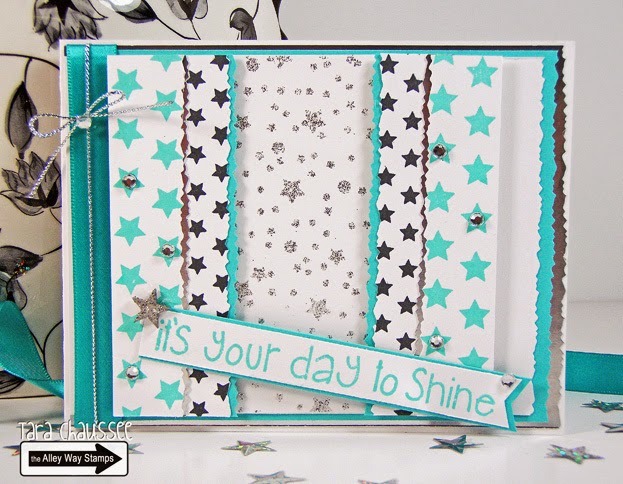 Lisa here with a sneak at this new set titled Star of the Show... I am completely in love with this set, and I just know you will be too when you see the full reveal. It is so versatile and fun! 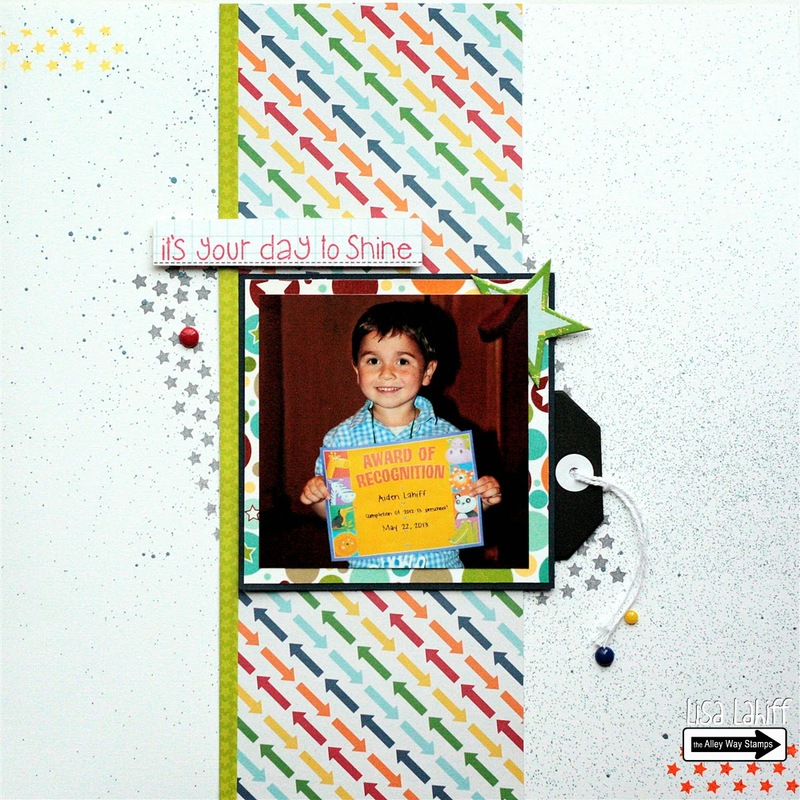 I've decided to share a double page layout using this stamp set, and hope you enjoy! Hi everyone! Tara here with my sneak peek of Star of the Show! He, he not really a peek since I used all of the fabulous stamps in the set! Can't you just see all of the great backgrounds borders and more you can create with this set?! Chrissie here and I had so much fun using Star of the Show and combining it with Enchanted! I did an emboss resist for the background using clear embossing powder, silver ink and Distress Inks as watercolors! Hello, Emily here sharing a sneak peek of April's release. I stamped and embossed Star of the Show. Then i water colored over the embossed stars. My speech bubbles are from the set Spellcheck. April Release Sneak Peek Day 2 - BEE Sweet! How did you like the sneak peeks of BEE Unique yesterday? Tomorrow is our last sneak, so make sure you come back! We also have our New Release Hop on Monday, March 31 and we'll give away ALL THREE to one lucky stamper! All the comments posted today are going into a random drawing and one of you will win the new April set - BEE Sweet!!! You can have up to 2 entries! And now for the peeks from our fabulous DT! Anni here! In the Bee Sweet set you find the cutest sentiments that go perfectly with the Bee Unique set! 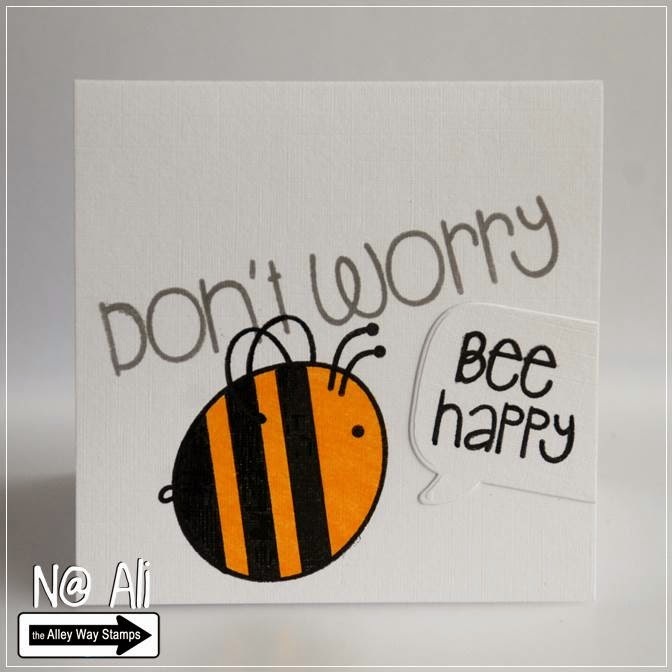 I used a few of the sentiments with the cute little bee from last month's set Got It Covered! Hi Dana here!! I made a little scene with the new set BEE Unique and made my sentiment from the new BEE Sweet set!! 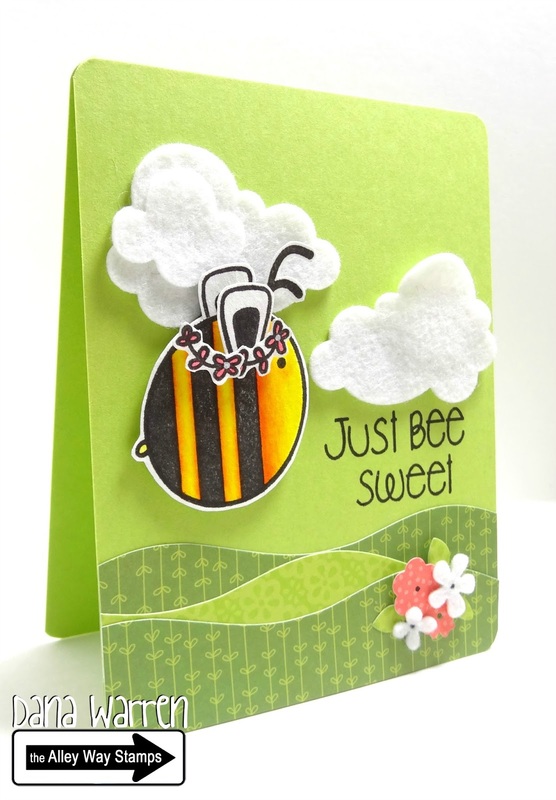 Kasia here, with a simple sentiment based card using today's sneak peek set, Bee Sweet. Hi, it's Christine. I cut out a bee with my silhouette and created a sentiment with the new Bee Sweet set. There are endless options for sentiments of all kinds! April Release Sneak Peek Day 1 - BEE Unique! It's that time again! Woo hoo!!!! We have our first Sneak Peek giveaway today! Don't forget to come back tomorrow for another sneak! And we have our New Release Hop on Monday, March 31 and we'll give away ALL THREE to one lucky stamper! All the comments posted today are going into a random drawing and one of you will win the new April set - BEE Unique!!! You can have up to 2 entries! And now for the peeks from our DT! Hello! Tracy here with my card using the new Bee Unique set. 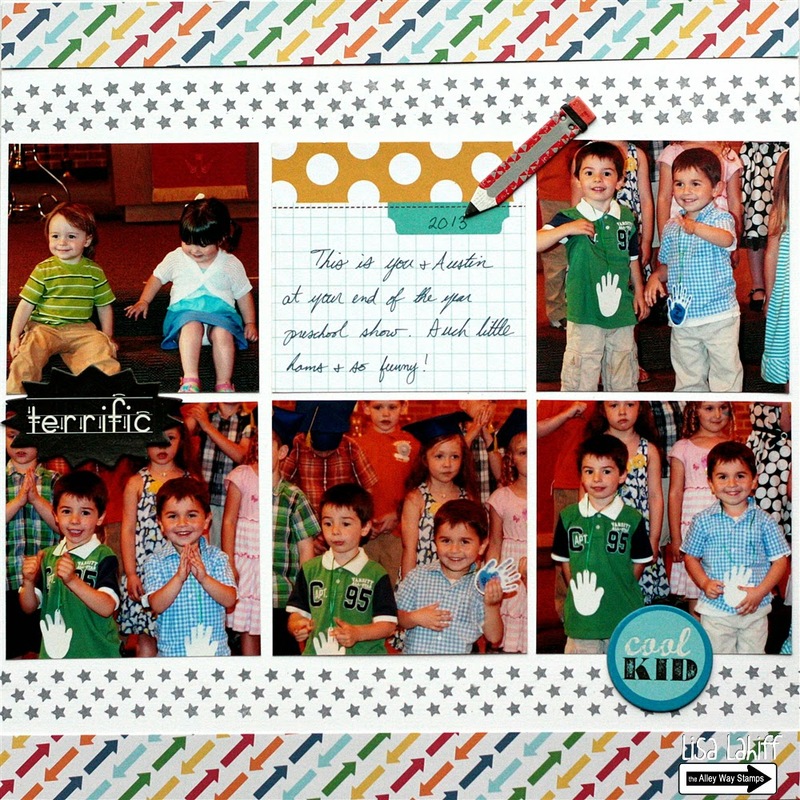 I love how you can create so many different themed cards with one stamp set! 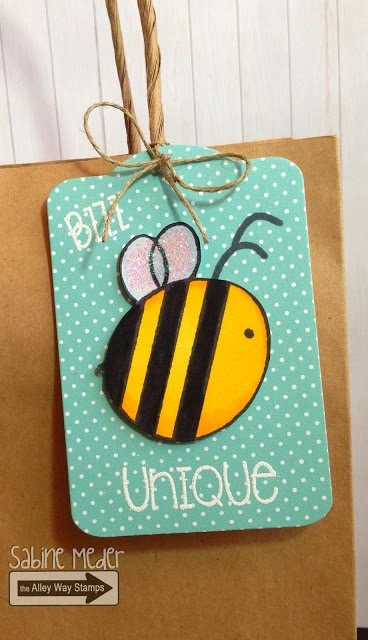 I added the cute little hat and wings to my bee along with the sentiment embossing in gold. Hello, Sabine here with a simple tag using the new adorable Bee Unique set. You are going to love this sweet set. I do! I colored my bee with Copics, gave her (or him?) glittery wings and the sentiments are heat embossed. Hey, N@ Ali here. I've kept it very simple for my take using Bee Unique. Got you singing? Hi there! 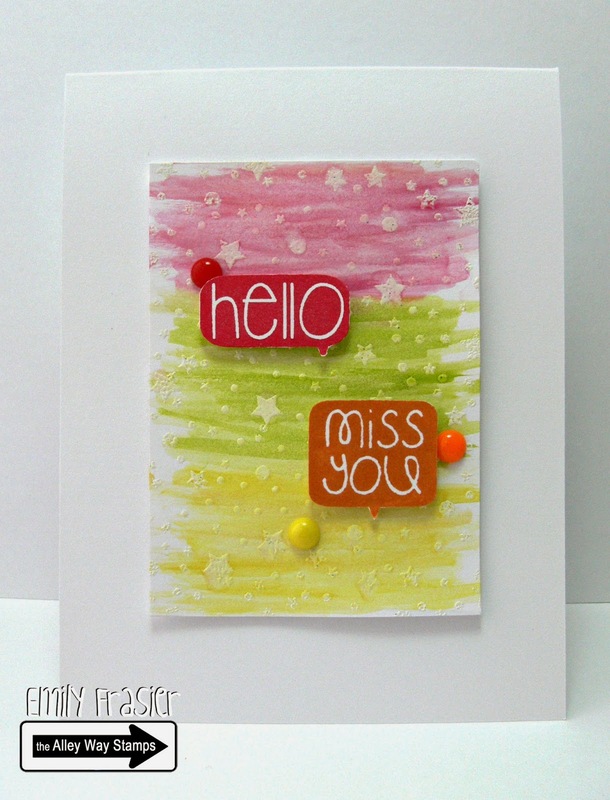 Tracy here with a clean and simple card using the Small Talk stamp set. I heat embossed the sentiment and then used Distress Inks to watercolor over it. Our sneak peeks start TOMORROW for the new release!!!! You have a chance to win each day, so make sure you stop back to check it out! Hi! Chrissie here with a watercolor card! I used some sparkle watercolors to loosely color in the feathers from Birds of a Feather. I love the result! Hi there it's N@ Ali. Today I've used Spotted to create a subtle background. 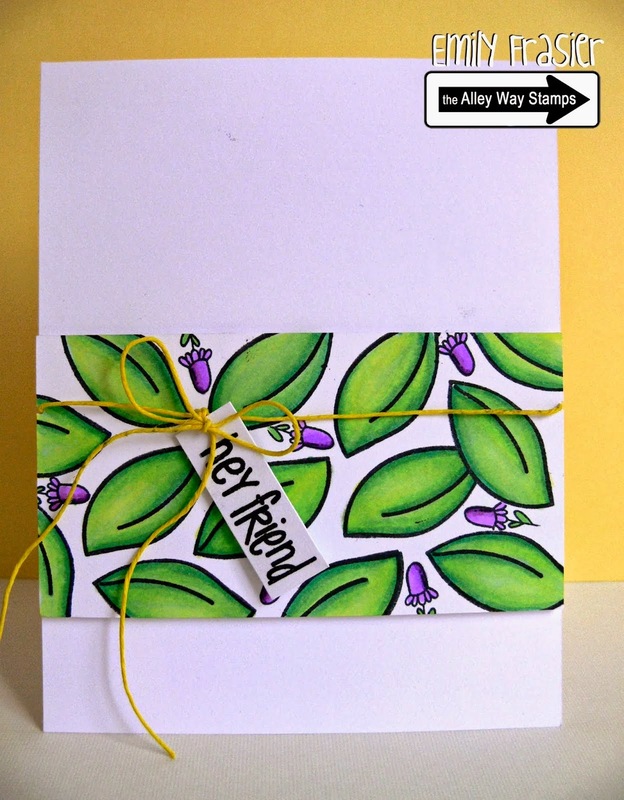 My focal point is from Flower Doodles, this stamp has become my most used flower ever, it's stunning! Hi everyone! 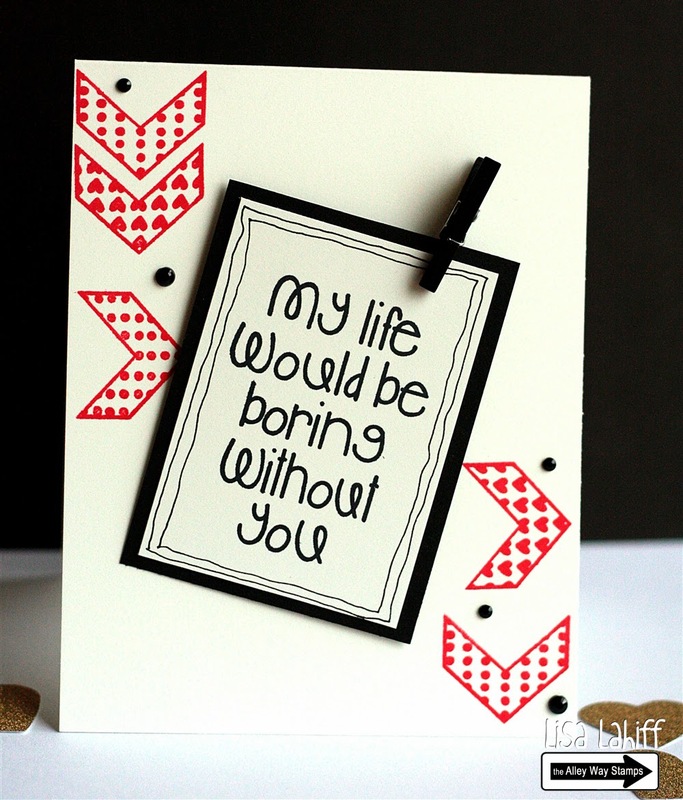 Tara here with some fun inspiration for a card perfect for all of the 'crafty' people in your life! 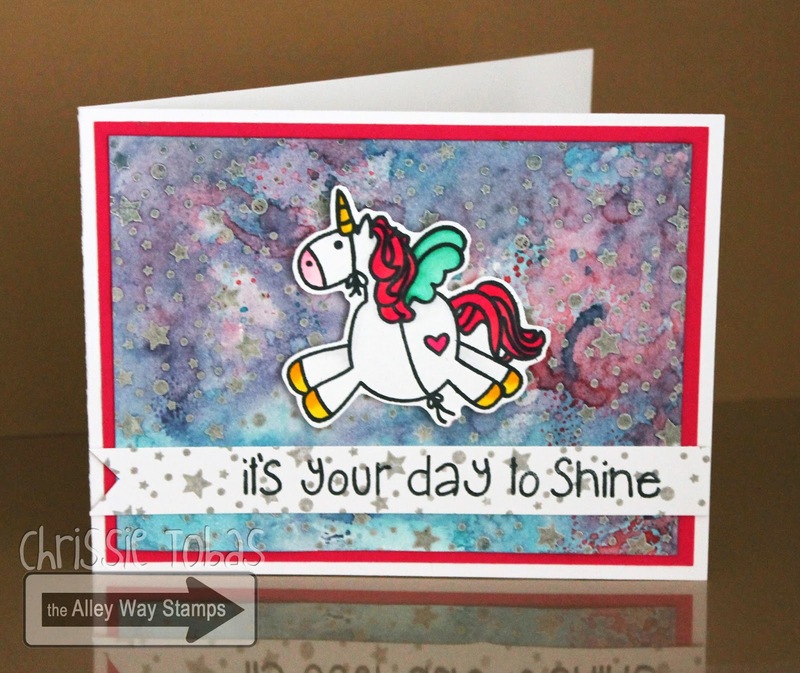 The fabulous paint splatters are from the True Colors stamp set and the fun sentiment is from Small Talk which is free this month with a $40 purchase! Anni here! The last time I used the set Spotted my card was very feminime! 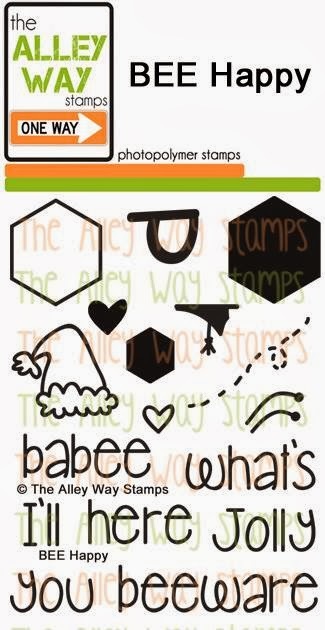 But the fantasic background stamps can be used on a masculie card as well as you can see on this card! The cute big foot is from the set Deep in the Woods and the sentiment from Wish BIG! Hi there,it's Sabine. For my little card I used a cute bird from Birds of a Feather again. 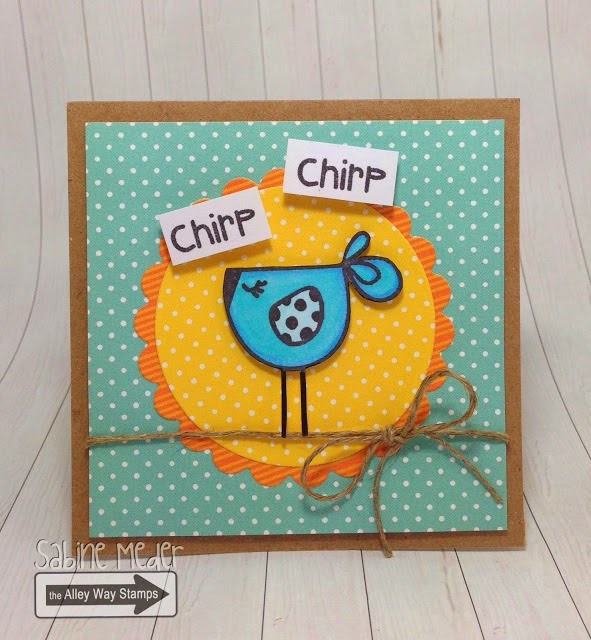 The bird is popped up and so are the "chirps" from that set. Hi! 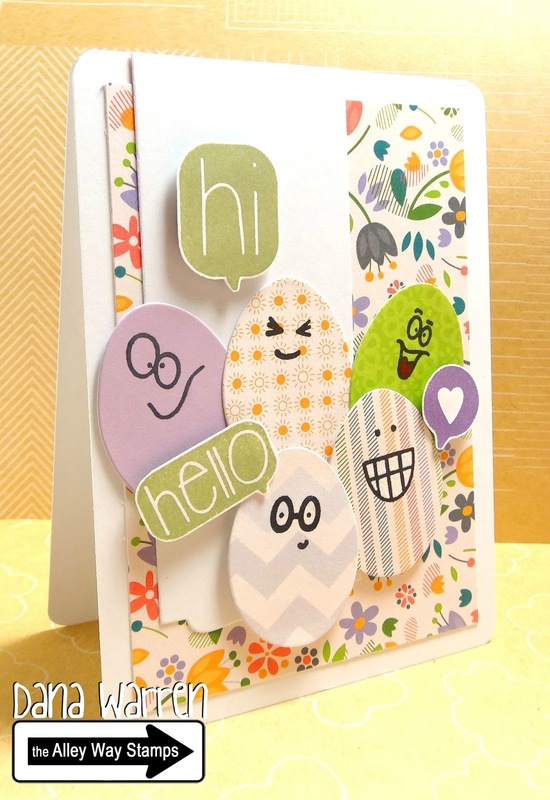 Dana here with a cute spring card!!! I played with Face It and some cute spring pattern paper to make some eggs! 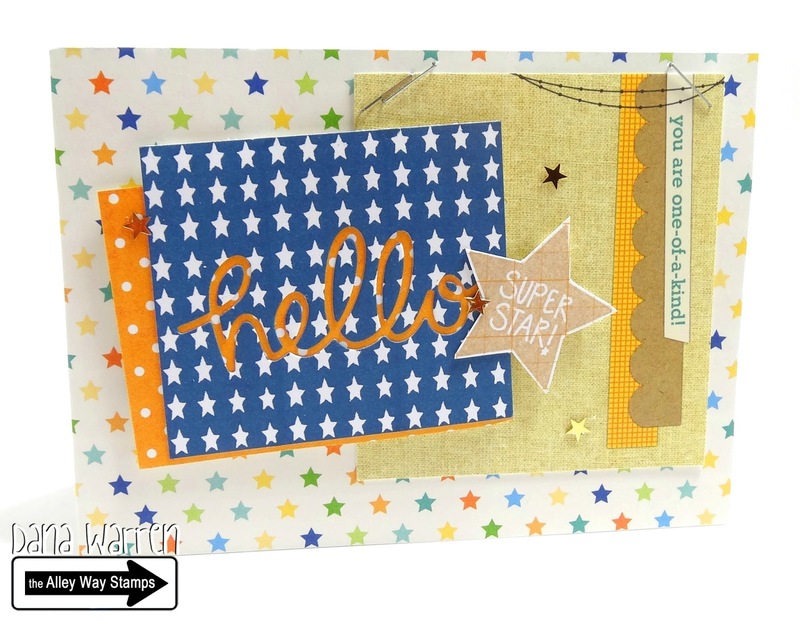 Hello, N@ Ali here with a quick card using this month's Spotted. I also used Bacon Bits for the sentiment. 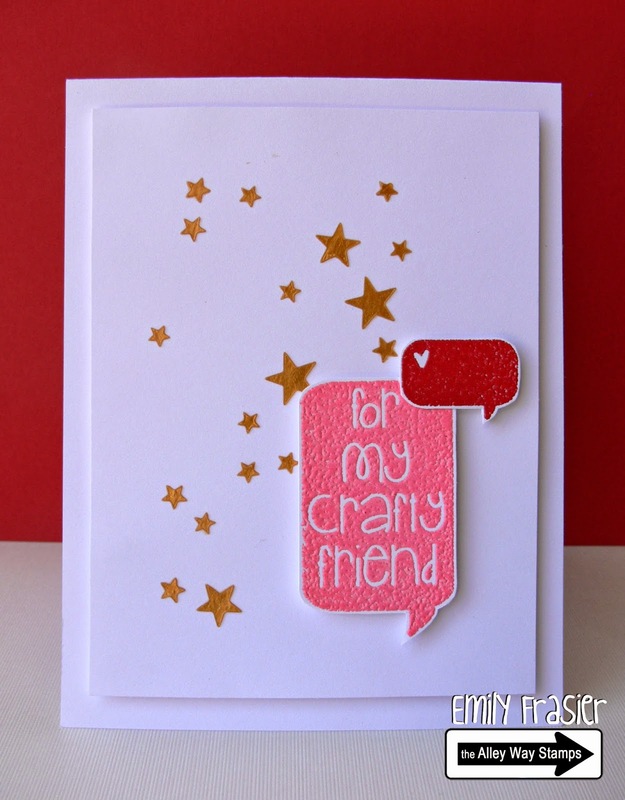 Hello, It's Emily sharing a card made with Birds of a Feather, and All About You. The birds are colored with Copics. Hi, N@ Ali here with a little mix and match card using all sorts on my desk. 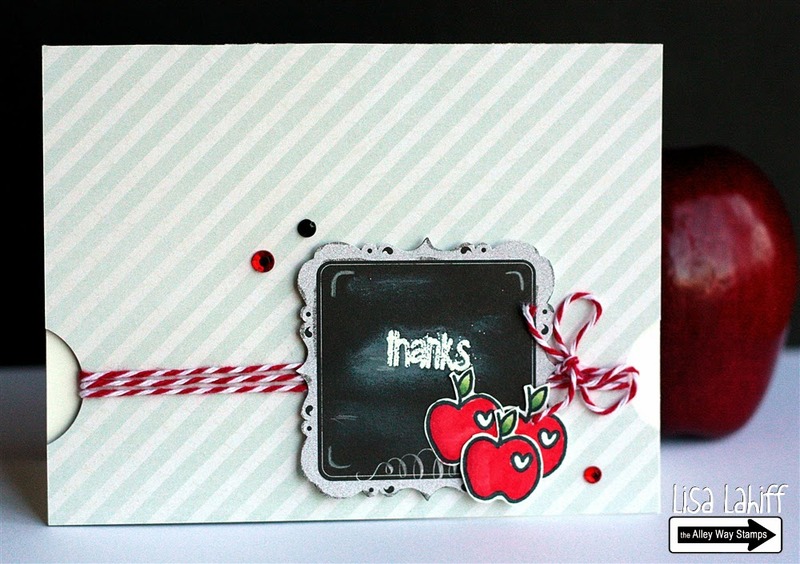 The stunning border stamp and the sentiment are from this month's Spotted. Anni here! 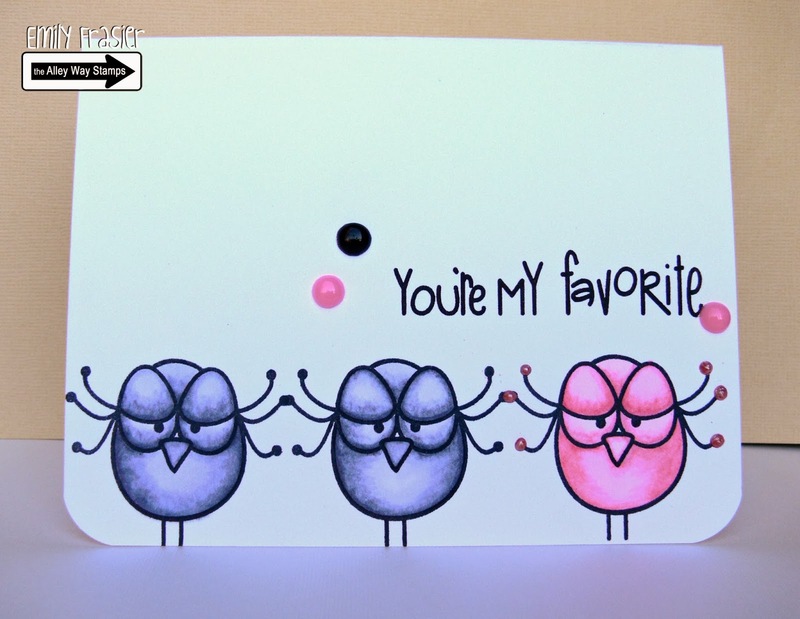 I have a card for you using the set Birds of a Feather! Hi there,it's Sabine. Happy sunday! The background was stamped using Spotted and the cute bear and sentiment are from Got it Covered. I heat embossed the sentiment on the kraft cardstock to stand out, and the bear is popped up for dimension. Hello! 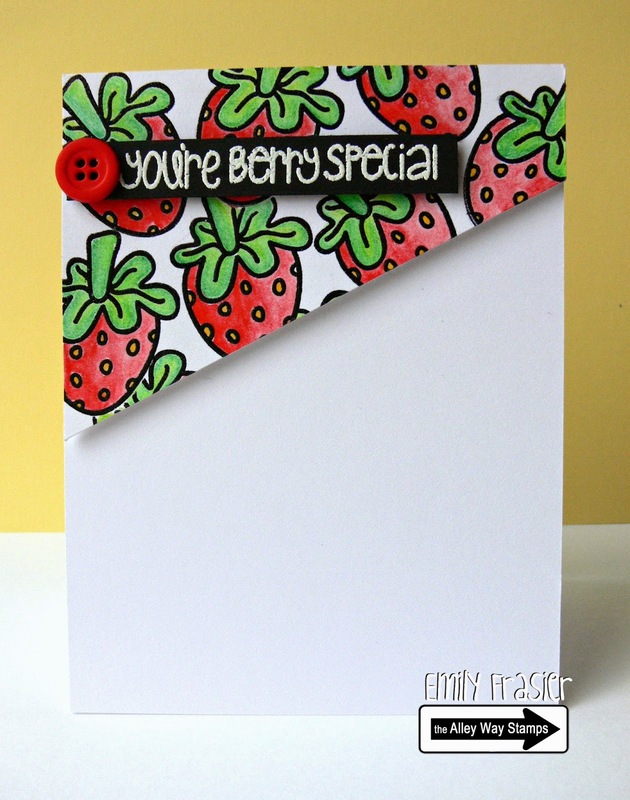 Tracy here with my card using the Got It Covered set, along with the 'loved' sentiment from Speak Easy. 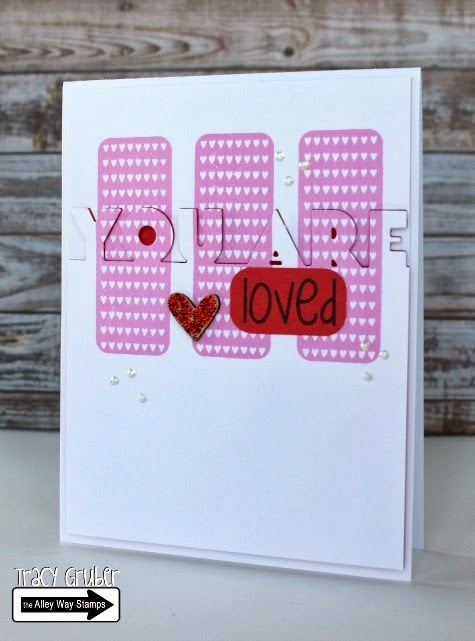 I stamped the heart squares and then die cut the "you are" sentiment with a metal die. Happy Spring everyone! 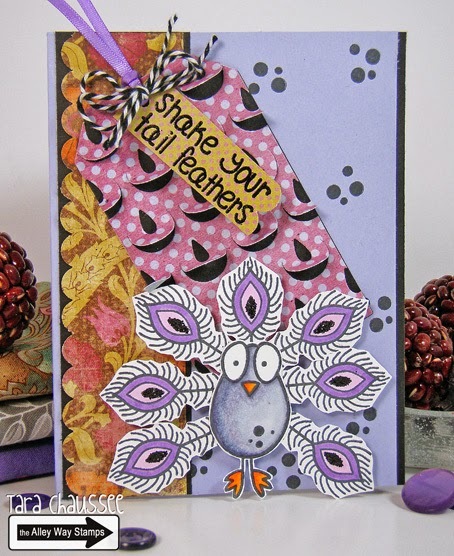 Tara here with a pretty peacock card that I created with the Birds of a Feather stamp set! The feather itself is a separate image so you can add as many feathers as you like! Hello, Emily here sharing a card made with Got it Covered. This card is really fitting to put in your kiddo's backpack or lunch box. 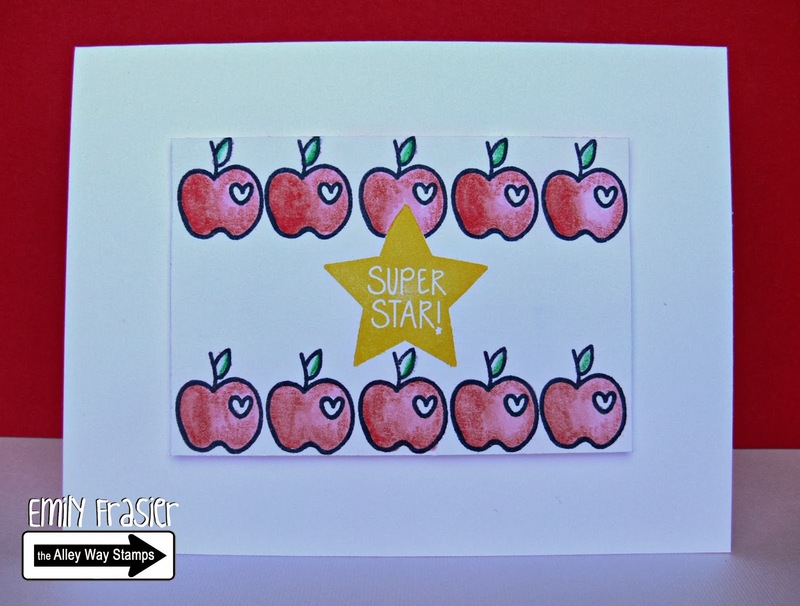 I stamped the star in with Memento Luxe Dandelion, masked it then stamped two rows of apples. I colored the apples with Inktense watercolor pencils. Hey, it's Anni here! The set Got it covered is perfect for every occasion. I made a very clean and very simple baby card with it! Hello! It's Tara and I too used the great images in the Got It Covered set to create a bright and graphic card! I also added in a tiny sentiment from the set! DIY your own Enamel Dots for Pennies!